I’m a connoisseur of cool movie posters, and this one, found by Comic Book Resources, has some style I can really appreciate. 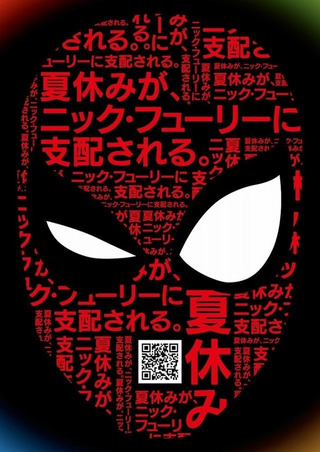 The poster, being used to promote Spider-Man: Far From Home renders Spidey’s masked face as a conglomeration of words, giving the hero a visage fitting his reputation as one of the more talkative heroes out there. I don’t know what most of these phrases mean, as they’re in Japanese, but according to CBR they mostly relate to the film, with the phrase “summer vacation” repeated throughout. And, of course, there’s a QR code, because everyone remembers the QR code where Spider-Man’s mouth is. I think that was Steve Ditko’s idea. Spider-Man: Far From Home doesn’t yet have a firm release date in Japan, but it comes out in the UK on July 3rd. Hopefully we’ll get a poster this cool.